This 60-­-to 70-­-minute program (played continuously, without pauses) consists of group improvisations and solo performances of works by American composer Joseph Klein, which are based on Elias Canetti's 1974 book Der Ohrenzeuge, a collection of fifty surreal character studies. 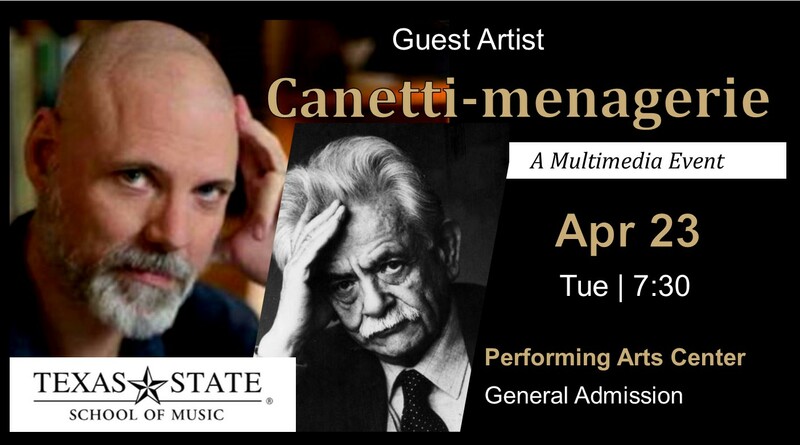 The performance is designed as a multimedia event, which includes theatrical lighting and staging, readings from the Canetti texts, and video projections of photographic interpretations of the various Canetti characters by artist Jessica Leza. With so many thing happening this year, don't miss out!